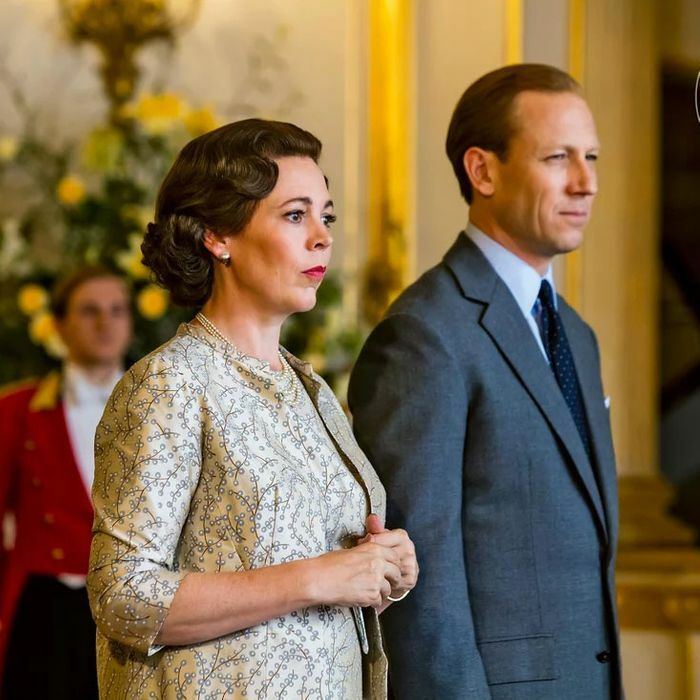 Olivia Colman, the 2018 English queen of record, will be playing Her Majesty Elizabeth II in the upcoming third season of The Crown. Thanks to Entertainment Weekly, you can now see a new look at her in character, and at the handsome side of Tobias Menzies, who replaces Matt Smith as Prince Philip. The next chapter of the show will deal with the arrival of Prime Minister Harold Wilson (Jason Watkins), who assumed the position in 1964 (the year season three begins), and will also feature Helena Bonham Carter taking over for Vanessa Kirby as Princess Margaret. 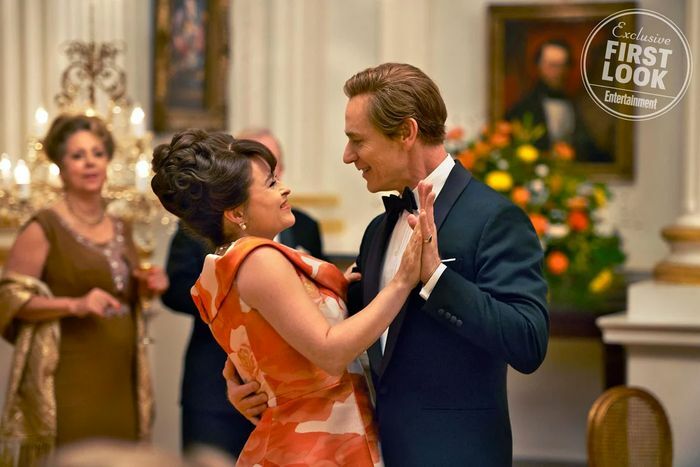 You can see her enjoying a dance with Antony Armstrong-Jones (Ben Daniels), the Lord Snowden, in the photo below. Additionally, new episodes of The Crown will introduce adult Prince Charles (Josh O’Connor) and Princess Anne (Erin Doherty). A young Camilla Parker Bowles has been cast, but we can assume that her relationship with Charles won’t debut until later in the season, since the two did not meet until the early 1970s. In the meantime, we can’t wait to see all the headwear worn when Charles has his investiture ceremony and receives his Prince of Wales title. And if you want to know if Colman, basically an honorary royal at this point, expects people to bow when she walks into a room, she told EW that, “Yes. I give people a clip round the ear if they don’t!” But can we bow and request a “clip round the ear” anyway?